The Oaks Shopping Mall in Thousand Oaks. This shot taken early this morning, April 1, 2019, showing the majestic 100 foot oak trees planted inside the mall. The Oaks originally opened its doors in April 1978 and is thus now in its fifth decade here in Thousand Oaks. To celebrate this milestone, late yesterday this iconic shopping mall installed five majestic oak trees inside the mall. At over 100 feet in height, these five transplanted trees were relocated via crane into five designated spots near Macy’s (both stores), JCPenney, Nordstrom and the AMC Theater. All righty then. We shall see, we shall see. A rare appearance of snow was enjoyed in many sections of the Conejo Valley yesterday, fed very cold temperatures and a storm that migrated here from Canada. There were reports of brief snow encounters by folks in Agoura Hills, Thousand Oaks, Westlake Village, Newbury Park, Calabasas and other cities, including Malibu! At my home, there was rain, there was sleet, and then there was snow. The snow appeared briefly before melting away. It was a wonderful, memorable sight. Rams practice facility at Cal Lutheran, seen from the hills above CLU. Having been a Los Angeles Ram fan as a kid, until they left for St. Louis in 1995, then again when they returned in 2016, I was excited for today’s Super Bowl game. Making it even more exciting is that the Rams are headquartered right here in the Conejo Valley in Agoura Hills and have practiced at Cal Lutheran since 2017. The Los Angeles Rams had played in only one other Super Bowl. They lost 31 to 19 to the Pittsburgh Steelers in Super Bowl 14 on January 20, 1920. The St. Louis Rams played in two Super Bowls with a 1-1 record. But otherwise, Super Bowl 53 was only the second time in history that the Los Angeles based Rams made it to this game. And it was an utter disappointment. The Rams lost in Atlanta to the Patriots by a score of 13 to 3. Next year’s Super Bowl 54 will take place at Hard Rock Stadium, Miami Gardens, Florida on February 2, 2020. Crossing my fingers for the Rams to come back with a vengeance next year like Miami did in 1973. As like many of you, I’ve received a number of notifications from the Clean Power Alliance and due to my sheer lack of time, desire, interest, energy, procrastination and/or (fill in the blank), have waited until now to actually investigate what this means. So let me impart my newfound wisdom to you. Clean Power Alliance (CPA) of Southern California was established in 2017 to provide cost competitive “clean” electricity to residents in certain parts of Los Angeles County and several other cities. 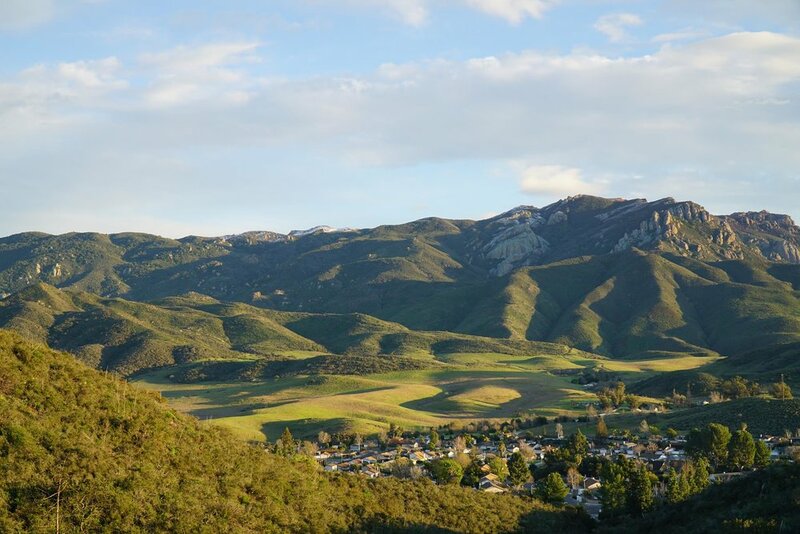 It quickly grew to 31 communities, including our local Thousand Oaks, Agoura Hills, Calabasas, Camarillo, Moorpark, Ojai, Oxnard, Simi Valley, Ventura and unincorporated Ventura County. What CPA does is purchase renewable, clean energy, while Southern California Edison (SCE) will continue to deliver it and bill for it. CPA further noted that SCE has proposed a double digit increase to 2019 rates to make up for a budget shortfall. If these increases are approved, they will likely take effect in March/April 2019 and CPA rates will also change accordingly. You can verify your own rate default option at cleanpoweralliance.org/rate-options. Go to cleanpoweralliance.org/rate-options and log in, using your 10 digit SCE customer number (remove the dashes), last name and zip code. There you will see your account status and the other rate options. You may opt down, or up, as it were, to one of the other options, based on your current default. You may opt out if you’d like, but be aware of the fine print: If you opt out, you will be charged a one-time account processing fee by SCE and will be prevented by SCE from returning to CPA for a minimum of 12 months. 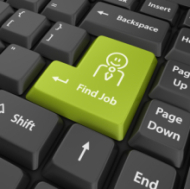 The City of Thousand Oaks provides additional information about CPA at THIS LINK. One other item of note on that page for solar users is “Although applications for onsite solar will still need to go through SCE for interconnection to the grid, CPA will pay customers at a higher rate than SCE for any excess solar energy generated.” Sounds pretty good to me. With our Federal government once again in "shutdown" mode for the last several days. each government agency put together contingency plans for operations in the absence of appropriations. The National Park Service (NPS) was created on August 25, 1916 by Congress through the National Park Service Organic Act and is an agency of the United States Department of the Interior. As of 2018, the NPS maintains 418 properties, including 60 protected national parks (which includes our local Channel Islands National Park). Parks will suspend all activities and secure facilities that operate using lapsed appropriations, except those essential to respond to emergencies. Visitor centers, like the Robert J. Lagomarsino Visitor Center at Channel Islands National Park, are closed. Special events hosted by the National Park Service are cancelled. Park websites and social media will not be maintained. For more information about shutdown contingency plans, visit the U.S. Department of the Interior website at www.doi.gov/shutdown. Let’s face it…the Westlake Village Costco is one of the most popular places to go in the Conejo Valley. Always teeming with shoppers and sample hunters, it seems the local community would be lost without this store. The store opened its doors as PriceCostco on Thursday, August 8, 1996 at 5700 Lindero Canyon Road. Price-Costco was formed in 1993 with the merger of Price Club (which opened its first location on July 12, 1976 in San Diego) and Costco (which opened is first warehouse in Seattle on September 15, 1983). 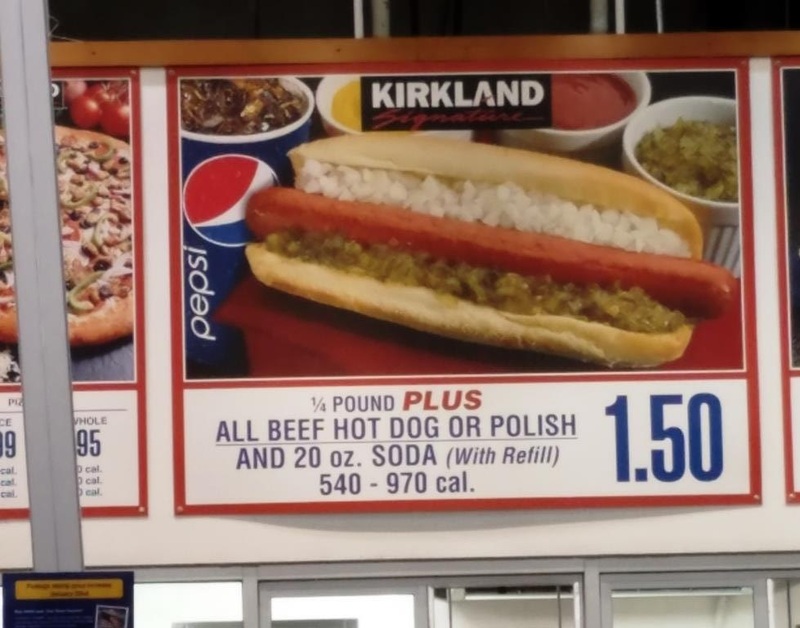 One of my life’s guilty pleasures…the $1.50 Costco Hot Dog and Soda deal. Who remembers PriceCostco? The merger between the two companies took place in 1993. Price Club was being pursued by Walmart to merge with the Sam’s Club warehouse store chain. Price opted to merge with Costco instead. And wallah…PriceCostco was created. At the time, there were 206 locations. Today there are 766 worldwide. The prior management team from Price Club, the Price brothers (who knew! ), left the company in 1994 and in 1997, “Price” was dropped from the name and it became Costco. According to a 1/4/96 VC Star article, PriceCostco purchased the 30 acre site at Lindero Canyon Road and Westlake Boulevard in Westlake Village for $9.3 million, with plans for a 136,000 sq ft Price Club . Local residents were against the addition of the warehouse club to the community. City Council approved the project as it was allowed as part of a long-term commercial development agreement in place with owners of the property. However, the city stipulated approval was required for specifics like exterior color scheme, roofing materials in earth tone colors, etc. It is clear that Costco prefers to own its own properties, not lease them. In Costco’s annual Form 10-K filing for the fiscal year ended 9/2/18, fully 80% of its 762 warehouses in the U.S. and globally were owned; the remaining 20% were leased. Lowe’s and LA Fitness were able to work a deal with owners of the property in Newbury Park and the City of Thousand Oaks Planning Commission approved the project to build locations there at a meeting on 12/13/10. We will be seeing the premiere of these business in the first half of 2019.